This is a guest post by Jon Yau, who purchased Stockphoto.com for $250,000 on Flippa. Here he shares his story and thoughts behind the purchase. Firstly, am I out of my mind? Check. Secondly – can I trust Flippa to deliver that domain name after I stump up the cash? 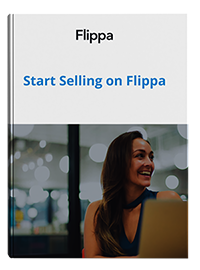 After drumming up enough Dutch courage to hit that “Buy it now” button, Flippa’s easy-to-follow process ensured the escrow settled as quickly and painlessly as possible – even over the Christmas/New Year period that my purchase occurred. Far from being a robotic process, I received a personal email from Dave Slutzkin (the then-manager of Flippa) offering his help should I encounter any difficulties with closing the transaction. Trust is the most important ingredient in any marketplace. Online or offline. As an original Sitepoint Marketplace member (the predecessor to Flippa) since January 2006 and with a number of transactions of some significance, I can safely say Flippa is the pre-eminent marketplace for websites and domain names on the web. But most importantly, how was I ever going to get this past the wife? Now, it’s not my intention to disrespect my wife in any way. She’s a true partner in every sense. She is the love of my life but she’s also highly-qualified, extremely intelligent and, up until deciding to stay at home with the kids, she held a number of senior roles in the funds management industry. This woman is commercially-savvy. You get the idea. “You wanna…what?” she said, almost choking on her words. “I want to…um. I mean, I’d like to… Well, honey there’s this really cool domain name for sale. It’s only $250,000” I blurted, like some guilty kid rightfully busted by his teacher. Q. What are we going to sell? A. Stock photos, of course. It might be a little silly to sell anything else. We’re going to sell what our competitors sell. A. They seem to be doing rather well doing just that. In late-2012, Shutterstock listed on the NYSE valued at about $450 million on a price/earnings ratio of roughly 35 times. The market was happy to pay a growth premium at that P/E ratio because Shutterstock was a dominant player but also because it expected the stock photography segment was going to grow at a reasonable clip. Shutterstock has since grown to a market capitalization of $2.5 billion with a P/E ratio of 52 times. Clearly, the market sees more growth (or at least expects Shutterstock to consolidate its position in a profitable niche). Stockphoto.com would then hope to compete for a slice of the same market. Q. Who do you think is going to buy? A. I think web designers and website owners will be our main customers. With more potential consumers gaining access to, as well as choosing to use, the internet, businesses are adapting by upgrading their presence on the web. Along with web hosting and web programming, stock images are a basic building block of the web. It is my assumption that more websites will mean more demand for coders, designers, servers and ultimately, more stock photos. “How can you be sure they will buy? And why would they buy from you and not your bigger, more established competitors?” she challenged. A. I know the stuff on Shutterstock sells. And I also know that the “Stockphoto.com” domain name is going to bring me web traffic from the get-go. So if I was able to source the same images currently selling on Shutterstock and all the other stock photo marketplaces, and assuming I price them roughly the same as those other websites, and all other things being equal then I should be able to sell them to the visitors coming to Stockphoto.com. 2. And after they come, will they buy? Q. What about the inventory? A: There’s also that one, itty bitty matter of sourcing quality inventory with a track record of sales. Enter Sergey Nivens. Sergey was described to me by a leading industry insider as “stock photography royalty”. You can hear his story (and see some of his work in this video). You’ve probably seen his images used on popular websites, products and advertising without realizing it. He is a down-to-earth guy with an amazing story. I was lucky to have made Sergey’s acquaintance and we have become firm friends. He was kind enough to provide 57,000 stock images from his amazing portfolio for me to test my MVP (Minimum Viable Product). It’s not terribly innovative, I must admit. But I was adamant we would have one thing in our favor that our competitors would not have (at least, not when they launched) – and that is a great, converting domain name with natural type-in, as well as search engine traffic. When someone types “stock photo” into Google and they see my domain name in the top few search listings, my bet is that they would trust my domain name enough to click on it. And when they come to my website and see a relevant, high-quality stock photo at a comparable price then my guess is that THEY WILL BUY. So instead of hand registering some other domain name and then spending money on building links and SEO for the website, I’m going to spend that money upfront. Get all the marketing wrapped-up and front-end loaded into the business before I launch by getting a generic, exact-match domain name. The idea is then that, for a given level of quality, I can market stock photos more efficiently than some of my competitors (especially those that have to invest continuously on marketing and SEO to draw visitors). So obviously my wife gave me her blessing. A: Well, the Flippa auction settled in January. I put up a sign-up page linked to our MailChimp account, allowing our visitors to subscribe to a mailing list depending on whether they were a stock photo buyer, a photographer or just interested. Stockphoto.com was finally launched on the 9th of September 2013 with 57,000 images from Sergey Nivens’ portfolio and I’m proud to say that we were cashflow-positive from Month 1 onwards. We were able to attract visitors and convert them to buyers in profitable quantities without any paid advertising or email marketing programs. Sergey has continued to add to his portfolio each month – Stockphoto.com now market 67,000 of his stock images and recently made our inaugural commission payment to him! We’re working towards having 100,000 stock photos for sale by year’s end. Q: Are you going to do anything that differentiates you from your competitors? A: Not at this stage. I’m just going to focus on building quality inventory and monitoring our sales data. This is crazy. $250,000 for a domain name? It’s been fun (and a little unnerving) reading the discussions on some of the web marketing forums, but the jury is still out. The website only launched in September and we need more time and analytics data. We’ve been cashflow-positive each month of our existence but I don’t want to get too far ahead of myself.